Discussion in 'General Wireless Discussion' started by Julio Urquidi, Oct 5, 2016. Google Wifi is the Cloud company’s entry into a growing category of mesh networking products for the home. Available in single-pack or three-pack quantities, the new AC1200 wireless solution is designed to maximize coverage at home by helping to strategically place each access point in different locations across the building. One feature that Google Wifi brings to the table is Network Assist. With it, Google Wifi also adds its own version of seamless roaming, an 802.11-based standard that is up and coming in the consumer market, but has been available for quite a while in enterprise networks. Network Assist allows mobile users to seamlessly transition from one access point to another with minimal breakage in between. Network Assist also adds a version of Smart Connect functionality found in newer home routers. The service optimizes Wi-Fi performance by automatically putting wireless devices on the best possible band and channel. In most cases, older devices will stay on the 2.4 GHz band, while newer and more robust devices run on the 5 GHz band. Customers can also use the companion Google Wifi app, available for iOS and Android, to help manage, monitor and tune your network. This includes being able to change security settings, seeing who’s connecting to your home, or prioritizing bandwidth for specific devices that need the best possible throughput. Pre-orders for Google Wifi will start in November, with pricing starting at $129 for a single pack, and $299 for a three pack. See the sticky post for more info. L&LD and sfx2000 like this. but has been available for quite a while in enterprise networks. Network Assist allows mobile users to seamlessly transition from one access point to another with minimal breakage in between. also wonder whats doing the routing ? That's what I really want to know. Too many of these "mesh" devices using in my opinion the wrong terminology or stretching the truth. To me seamless handoff is the 802.11-2012 spec which is the three key ones of 802.11k, r, v protocols that are used to ensure you have basically a seamless handoff. That's why in corp environments (if correctly done) you could be on a wireless VOIP phone and walk from one end of the building to another and never drop that call. I need something similar for my house, Im always on the phone using wifi calling (cell signal low in my house) and moving from AP to AP, it something drops the call, but always drops audio for 5-10 secs as I move from AP to AP so it gets annoying that Im talking and the other person didn't hear me as it moved from one AP to another. If this supports 802.11k, r, v Im buying two sets for sure to try out in my place, I have a large house and want it blanketed. I have 4 APs now like Asus AC68s doing the work, all hardwired acting as APs (except the root one). Common SSID/Credentials on a well planned ESS, not really a problem, and this is not a problem that MESH is trying to solve in any event. This post brought to you via the letters "e" and "t", and the number "1"
So Im probably a victim of that marketing then, MESH maybe isn't what I want to look at term wise. I really want something that gives me commercial level handoff like an Aerohive or Meraki APs. But I don't want to spend near $1000 per AP for their dual band higher end APs. Unifi isn't there yet on the 802.11k, r, v on their APs(they only testing it on their latest and I believe they are only testing 801.11r. Appreciate the info. I need to look into those then. I was actually not aware that Apples airports supported all those protocols for handoff. 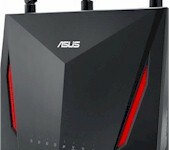 I just never really looked at those initially because I felt originally they were overpriced and their performance was fairly poor to other devices like Asus AC68 (granted it doesn't have 802.11k, r, v). I agree on Meraki and Aerohive, great devices, but crazy expensive when you factor in both the device cost and cloud license. Which I feel is overkill for a home. You going to be easily in the $1000/device say over 3-5yrs. We use the Aerohive at a temple I help manage, we have over 20 of them, love the cloud management, can be cumbersome at times understanding their UI. Thanks for the info sfx2000. You guys keep thinking APs can solve the sticky client problem. If a client doesn't want to roam and doesn't talk 11k/v/r, the AP's options are limited. Router: Mikrotik RB4011. 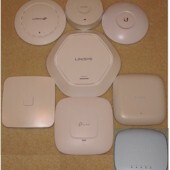 Access Points: multiple Unifi-AC. "Most Wi-Fi network hardware vendors support 802.11k, 802.11v, and 802.11r (FT)." I assume Apple is talking about enterprise equipment, not the consumer market? Learn how iOS improves client roaming using Wi-Fi network standards. iOS supports optimized client roaming on enterprise Wi-Fi networks. The 802.11 Working Group standards k, r, and v let clients roam more seamlessly from access point (AP) to AP within the same network. The 802.11k standard helps iOS to speed up its search for nearby APs that are available as roaming targets by creating an optimized list of channels. When the signal strength of the current AP weakens, your device will scan for target APs from this list. When your iOS device roams from one AP to another on the same network, 802.11r uses a feature called Fast Basic Service Set Transition (FT) to authenticate more quickly. FT works with both preshared key (PSK) and 802.1X authentication methods. iOS supports the basic service set (BSS) transition-management functionality of 802.11v on certain devices. BSS transition management allows the network’s control layer to influence client roaming behavior by providing it the load information of nearby access points. iOS takes this information into account when deciding among the possible roam targets. When you combine 802.11k and 802.11v’s ability to speed up the search for the best target AP with FT's faster AP association, apps can perform faster and you get a better Wi-Fi experience in iOS. Most Wi-Fi network hardware vendors support 802.11k, 802.11v, and 802.11r (FT). You need to enable and configure these features on your Wi-Fi router before your network can use them. 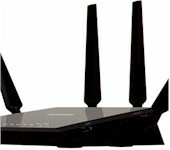 Setup varies, so check your Wi-Fi router's manual for details. The lists below show which iOS devices can support 802.11k, 802.11r, and 802.11v. To use 802.11k and 802.11r, you need iOS 6 or later. To use 802.11v, you need iOS 7 or later. All iOS devices also support pairwise master key identifier caching (PMKID caching) with iOS 5.1 and later. You can use PMKID caching with some Cisco equipment to improve roaming between APs. Sticky key caching (SKC) is a form of PMKID caching. 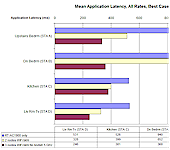 SKC is not equivalent to, nor compatible with, opportunistic key caching (OKC). Find more information about roaming with iOS 8 or later. 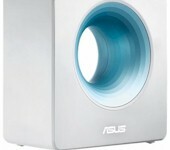 Ruckus Unleashed support 802.11r & k, you can get the R310 for sub $500. Are there any specs and technology that is currently known about google wifi that is an improvement or upgrade over the eero wifi system? From the spec pages of both I see that the eero uses a 1Ghz dual core processor where the google wifi uses a quad core processor "up to" 710Mhz. Price is $200 less - makes a difference for me. Hmm... less of a problem these days - drivers are getting better, linux with some chipsets it's still a bit of a problem.